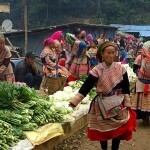 Binh Lu and Tam Duong market is located on the other side of Sapa, passing the 1900 meter Tram Ton pass, Viet Nam’s highest mountain pass and considered the most beautiful stretch of road in the country. 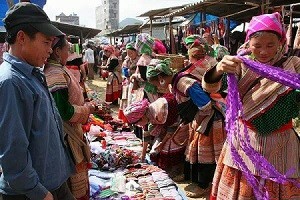 The town is bustling with activity as the local hill tribes gather for their weekly market day, amazing tribal markets in Binh Lu where thousand of Thai Kadai language groups such as Tai Lu, Tai Laos, White Tai, and H’mong – Yao group (black Yao, Yao Lantien..) Giay, Khomu.. comes to buy and sell their own produces. 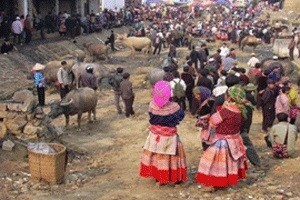 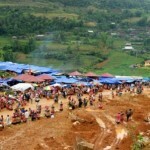 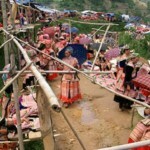 The road trip here takes about 3 hours from Lao Cai (127km) and 1 and a half hours from Sapa (90Km). 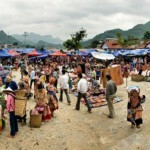 Can Cau Market Sapa Cancau market is one of Vietnam's most fascinating open –air market, and isolated market which takes place only on Saturday every week.